Tenebrae is thrilled to be working with London Youth Choir as one of its Choral Development Partners in the 2016-17 season. We caught up with Esther Jones, Acting Artistic Director of London Youth Choir to hear more about the work of this fantastic organisation. I first got interested in choral music aged 9 when I joined my church choir in Crowborough, East Sussex. We had an annual residency in Chester Cathedral each summer and after hearing the splendour of the cathedral organ there I started taking organ lessons as well. In my mid-teens my choir master allowed me to ‘conduct’ the choir from time to time but it was once I joined the National Youth Choir of Great Britain aged 18 that my passion for choral music was really ignited. I became organ scholar at University College in Oxford – and my college selection was solely based on the fact that there was no Fellow in music there, which meant that I’d be in charge of the chapel choir myself! After that I worked for the Royal School of Church Music on their education and publishing programme, and gained some teaching and workshop experience before heading to the Royal Academy of Music (RAM) to do a Masters in Choral Conducting. 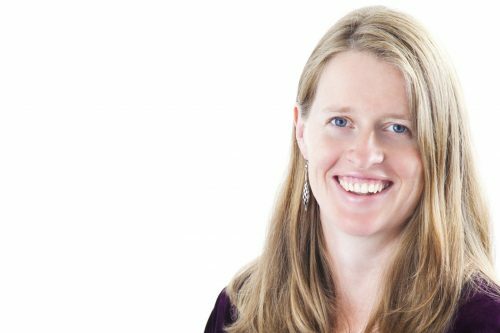 I benefitted hugely from spending that focussed time on developing my skills and began to build up my portfolio as a freelance conductor, teacher and animateur. I still teach at RAM part-time, and combine it with my work for London Youth Choir and the National Youth Choirs of Great Britain, among other things. As Acting Artistic Director of London Youth Choir, can you tell us a bit more about the ensemble, their upcoming projects, and your overall role within the London Youth Choir Organisation? 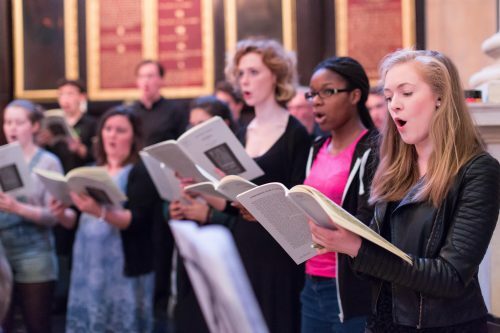 London Youth Choir (LYC) was founded in 2012 by Rachel Staunton and Suzi Digby to provide singers living or educated within Greater London with an outstanding choral education through exceptional musical training and high-level performance opportunities. LYC is a family of five choirs – Boys’, Girls’, Training, Main & Chamber – and it’s been my privilege to work with all these ensembles at one point or another since I first started working with LYC in 2014. There are now around 200 choir members across the organisation, ranging from age 7-21, and we rehearse weekly on Monday nights in the City of London. As Acting Artistic Director I’m part of a dynamic team of administrative and musical staff which are involved not only in rehearsals and performances but also in the ‘Aspire’ community engagement programme which is lead by LYC in collaboration with music hubs across all 33 London boroughs. London Youth Choir has had an extraordinary first few years. Choir members have performed with John Rutter and the Royal Philharmonic Orchestra at the Royal Albert Hall, recorded The Angry Planet with David Hill and the BBC Singers, appeared with The Rolling Stones at the O2 & Glastonbury and even sang the National Anthem at Wembley before a cup final match! How would you encourage children interested in music to take those first steps and get involved? I always encourage parents and schools to interweave music into their child’s everyday experience. Singing, dancing and making music together for fun will really help with early music development – even if your singing is better suited to the shower than the Royal Albert Hall! Support music-making in school to ensure it’s embedded in the culture rather than seen as peripheral: there are now many research studies which demonstrate the far-reaching benefits of this, including improved attention and listening skills throughout the school day for those pupils receiving regular music tuition. Studies also show that if you want your child to start instrumental lessons that they are most likely to keep it up if they have chosen the instrument themselves and if they have a good rapport with their first teacher. Also, children benefit academically from learning to read musical notation – and it should ideally be introduced at the age at which they start to learn to read (although it rarely happens at that stage in my experience!). In terms of choral development, help your child find every possible opportunity to sing with others and seek out the most aspirational groups locally – whether it’s in school, the local music hub, church or other community group. As they grow in skill and confidence find something more ambitious – such as London Youth Choir – and those that are most talented and passionate about choral singing should audition for the National Youth Choirs of Great Britain. Are there any upcoming projects that you’re particularly looking forward to? This coming season we’re excited to be recording with Gareth Malone, making a debut performance with the London Symphony Orchestra and performing at the Royal Albert Hall. We are also thrilled to be working with Tenebrae again: not only are we developing an exciting collaborative concert project and we greatly value the superb training they offer us in termly workshops. Our members really love working with singers and a musical director of such high calibre and we very much hope that our partnership will continue to develop and flourish. What do you find most rewarding about working with young singers, and what do you feel children find most appealing about singing? Technology now enables us to monitor how babies respond to music in the womb and as newborns with a surprising level of sophistication; the music instinct it seems is hard-wired in all of us and it is important to nurture it, partly for its value as a means of self-expression, building a sense of community and identity, and encouraging healthy brain development, but also because it’s one of the joys of the human experience. And I believe that singing together with others has a fundamental role to play within this. It seems to me that as a society we have a responsibility to nurture this music instinct – and there is nothing that I love more than to witness a young person finding that they have a passion for singing with others. It can transform shy children into confident performers, it can bring together communities and help to break down barriers – and what’s more, it’s jolly good fun! You can see London Youth Choir collaborate with Tenebrae on Friday 7th July as part of the Voices of London Festival, more details coming soon!